The Data Stream 4 is a universal DMX-512 optical splitter designed to distribute the incoming DMX signal, in daisy chain configurations, into four separate outputs with an additional “thru” port. D-Fi Hub is a compact, easy-to-use DMX unit that functions as either a transmitter or receiver. For more stable communication between units, it operates on a 2.4 GHz frequency range and includes an “auto” function which automatically finds the best frequency and syncs the units effortlessly. The Chauvet DJ DFIUSB-4PK is a pack of 4 DFi-USB wireless DMX dongles, the perfect way to get wireless DMX for your fixtures. CHAUVET DJ has developed a series of fixtures that include a standard USB connection. You can now wirelessly connect to all of them using the new D-Fi USB transceiver, which eliminates the need for any DMX cables. It’s a 4-channel dimmer/relay pack providing DMX control for on/off or dimming to units not equipped with DMX on their own. The fixture is optimized for use with small LED fixtures to prevent ghosting and flickering. DMX-AN is a converter that functions as an Art-Net to DMX or DMX to Art-Net interface. It features a multi-purpose Art-Net/sACN node that converts 1 Ethernet cable to 2 DMX universes. 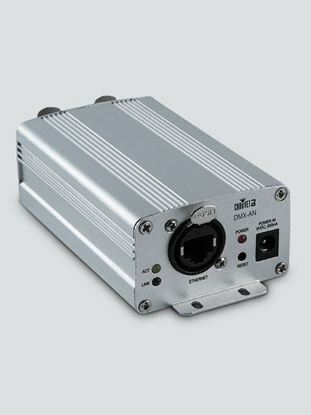 DMX-RT is a rugged and compact DMX recording device with triggerable playback. 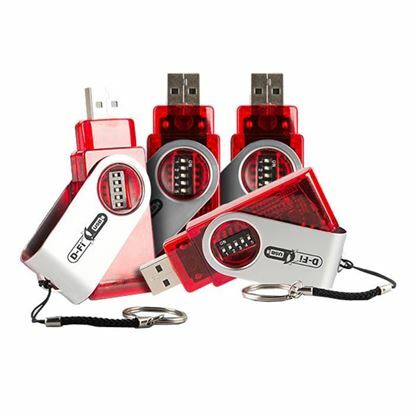 Copy, backup and transfer show files with a built-in micro SD card slot and included micro SD card. The FlareCON Air utilizes mobile phones and tablets and turns them into wireless DMX controllers. It works with all CHAUVET DJ Freedom series fixtures as well as all D-Fi products for versatile control over your rig. Foot-C 2 is a full-featured compact DMX foot controller with up to 36 channels of control. Create and control a full light show of chases, scenes, fades, and more with just the tap of a foot!